On Thursday, June 14th, the Elkhorn City Council fielded a presentation from Elaine Wilson the Executive Director of the Kentucky Office of Adventure Tourism. Ms. Wilson came speak to our town about Elkhorn City becoming a Kentucky Certified Trail town. She spoke about the trail town concept and the many things the community can do to improve the experience of the trail user. The topics ranged from improving signage to purchasing bike racks and from marketing to economic development. Someone with resources, expertise in their field, and the potential to literally put our town on the map took time out of their schedule to come and tell us how blessed we are to have the quality and caliber of trails we have in this town. When we think about all the things our town is blessed with, from the towering mountains, to our proximity to the Breaks, to the river running through the center of downtown, it’s not often we think about the trails connecting our town to the world. Stretching back to the days the railroad brought prosperity to our town, we prospered because we are in a place that people enjoy coming to, or traveling through. 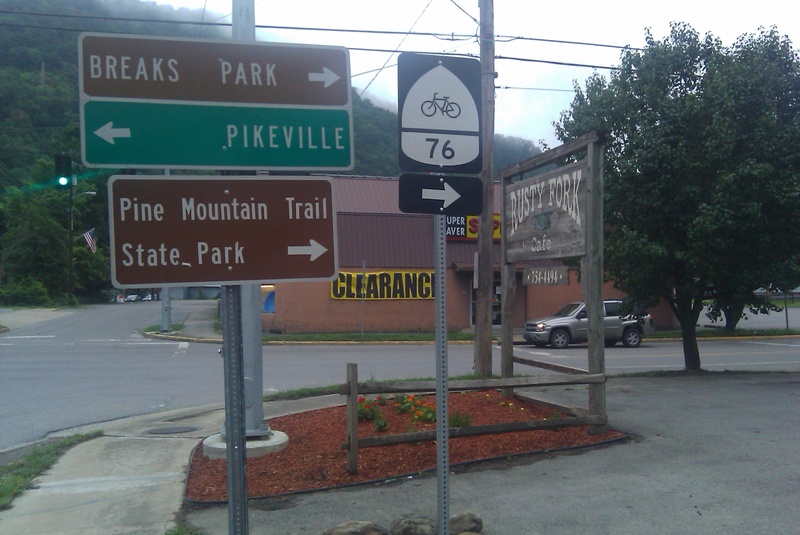 There are three primary trails that are connected to our town: the Pine Mountain Trail, the Trans-America 76 Bike Trail, and the Russell Fork River. Whether, hiking, biking, or kayaking our town connects you to three remarkable trail systems that offer exactly what you’re looking for in your area of recreation. The Great Eastern Trail is also coming through town in the near future. 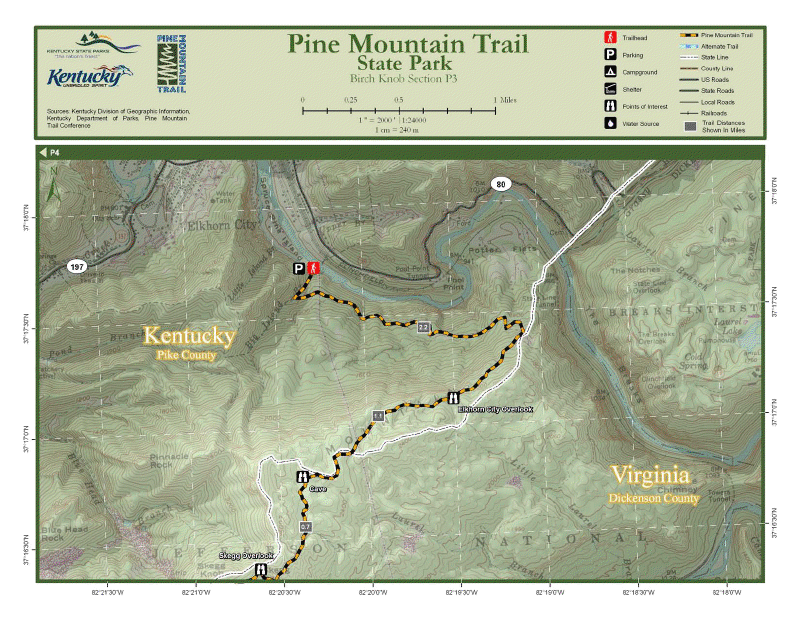 The Pine Mountain Trail currently offers 48 miles of virgin trail. 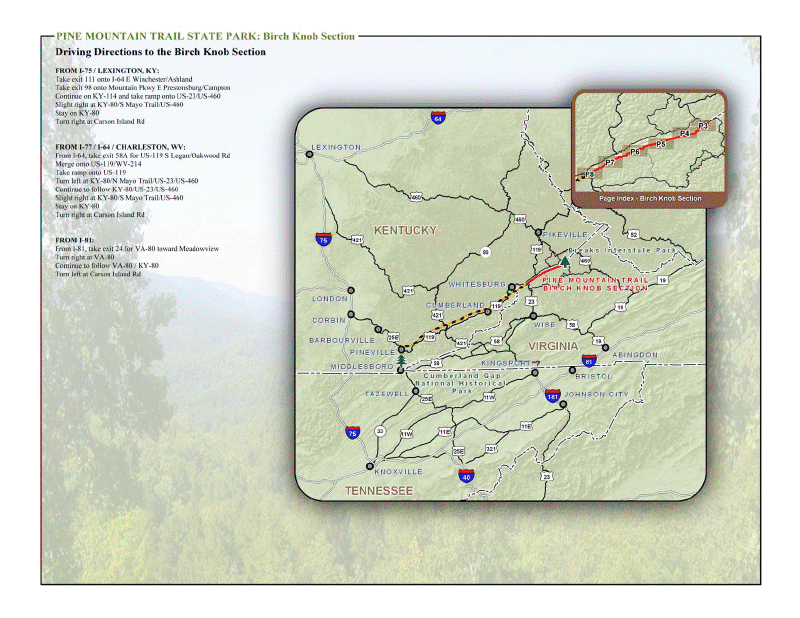 Carved one mile at a time by volunteer labor, this expansive trail is planned to stretch from Elkhorn City to Jellico, Tennessee over 111 miles and inclusion in the Great Eastern Trail by its completion. Well blazed, and following the ridge of the expansive Pine Mountain, every couple of miles it feels like a brand new trail. The scenery always shifting from the top of the peaks rolling through dense woodland, past geologic oddities and historic sites every scene reinvigorates you with the sense of purpose that only distance hiking can offer. It’s seclusion at its finest, braving the wilderness with no civilization within 5 miles; every footstep becomes a reminder that only your determination and will power can see you through to the end. The Transamerica 76 Bike Trail spans from coast to coast, and sees travelers of all kinds. From professional bikers to amateurs with a good cause, bikers flock from all over the world and pass through our town in the process. Just the count from the Rusty Fork regulars tallied 43 states and 17 countries in one year. 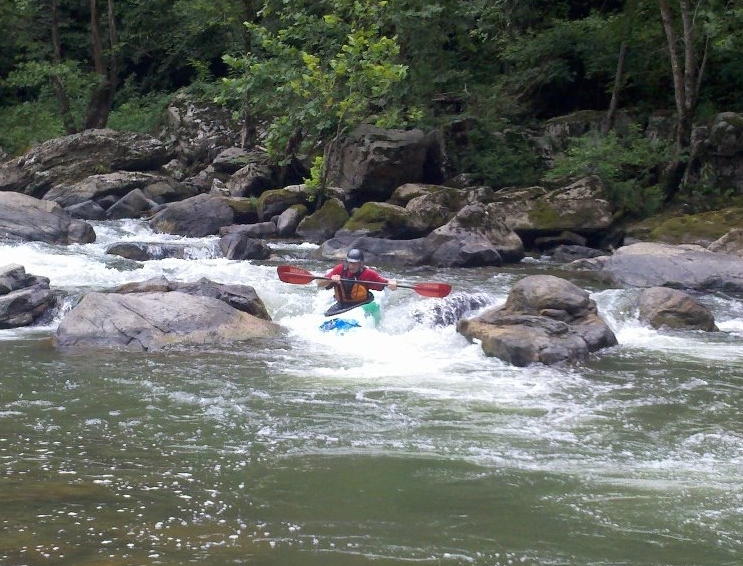 Finally, the Russell Fork River for all intents and purposes is a mecca for white water enthusiasts. One of the most technically challenging rivers in the world, with rapids rating as high as the scales go the Russell Fork is another worldwide draw that runs right through the heart of our business sector. 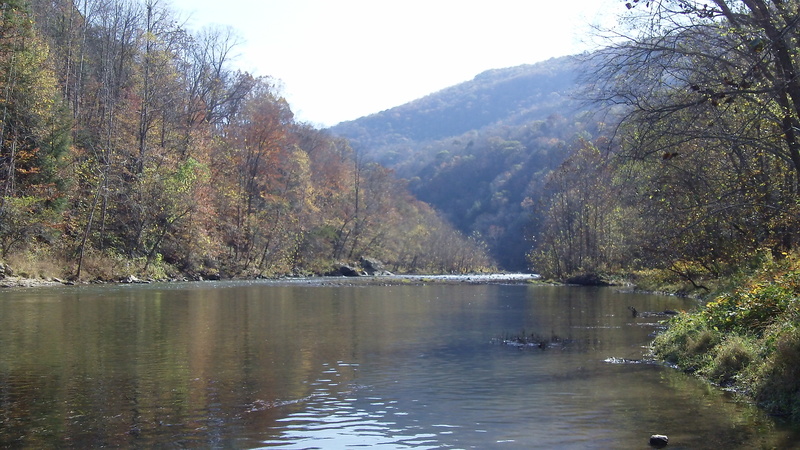 Despite the difficulty of paddling through the Gorge, the river breaks down into three and a half sections that range from beginner status on the Lower Russell Fork from Ratliff Hole to Elkhorn, to intermediate on the Upper put-in at Flannigan dam, to world class from Garden Hole down. 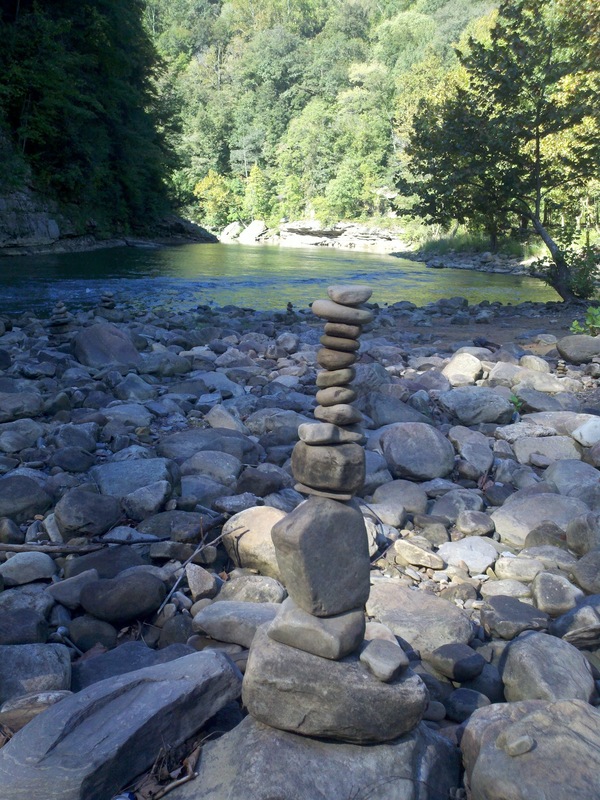 Our town has gifts and natural amenities that allow us a sturdy foundation. Just the same as we built our homes upon them, we can also build industry. We can build our community, and we can share in the prosperity from them. Most of all, we can build our own future, and create the world we want to live in. Check out the above links and you will see why Elkhorn City needs to become a Kentucky Trail Town. Next post will be on the Trial Town process and how we get it done. On a beautiful Sunday morning in April, at 8:30 am I hear …”Pre wa wa daddy” …. “Pre wa wa daddy.” At first I can’t make out what my, two year old, Tymee Jo is saying. She just turned two on March 17th and single words have started to become simple sentences. “What, baby girl?” I said. “Pre wa wa, daddy!” It then dawns on me that she wants to go see the pretty water. She and I have been taking a short drive up to Ratliff Hole on Saturday mornings, since the warm weather has begun, and I have told her to look at the Pretty Water. Ratliff Hole is the local name for the Breaks Interstate Park, river access area about a mile east of Elkhorn City, Kentucky. She enjoys it and is content for up to half an hour setting in my lap and watching the in the pretty water. Upon reflection, I have realized that she is content watching the pretty water because I am content watching the pretty water. There is a cleansing that comes with watching the pretty water. It seems that the ups and downs, bumps and bruises, and stress and strain of the week float away with the rush of river. The sound of the water is soothing and the smell of spring is invigorating. Often, time slows down when Tymee Jo and I go watch the pretty water. The hour we spend together at the river is a source of renewal and strength for me and an amazing time of wonder and discovery for her. I sometimes look at Tymee Jo’s red hair reflecting against the clear green river and realize that all is perfect at this time in this place. So if you ever need some time for reflection and renewal come and see the pretty water. You will probably see Tymee Jo and I sitting by the river. most pristine waterway in the Commonwealth of Kentucky form the Virginia state line through Elkhorn City, Kentucky. The Russell Fork is a destination for thousands of boaters, paddlers, fisherman and pretty water watchers like Tymee Jo and I.